Training tips from Matt Rowe and some of the world’s best coaches and athletes? Yes, please! 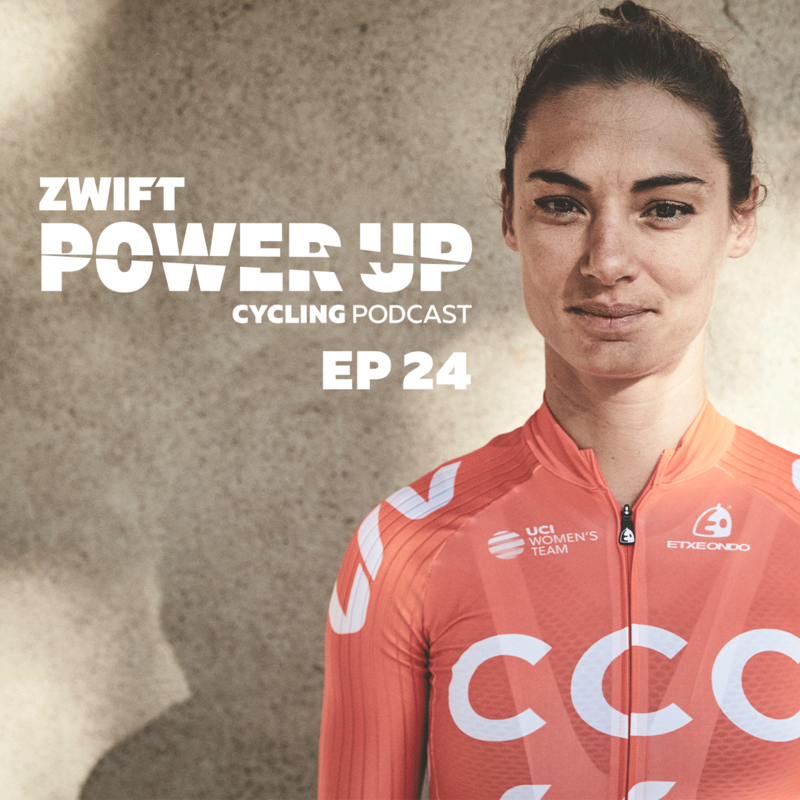 Tune in to the brand new Zwift Power Up Cycling Podcast. Matt and Kev talk KISS Super League (KSL) with Zwift Community All Stars cyclist, Adam Zimmerman. He opens up about what the KSL means to him, the pressure of representing the Zwift community, team dynamics, as well as the physical demands and tactics for sprinting on Zwift. Afterwards, we get into the McCarthy Special workout and whether wearing a base layer on Zwift is worth it. Find out Matt and Kev's thoughts, plus the usual Q&A section that we got Greg out of bed for! used Zwift to train for this year’s event. In Episode 24, we dive into season prep​—​from​​training camps to the benefits of double days.We also recap our very own Power Up Training Camp in Banyoles, Spain. Six lucky Zwifters joined the coaches of Rocacorba Cycling to get in tip-top shape for their upcoming seasons. Finally, co-owner of Rocacorba Cycling and professional cyclist Ashleigh Moolman Pasio offers insight into the world of women's pro cycling. Greg and Dani review the recent World Track Champs and chat all things track cycling! Strategy shifts gears when you’re racing virtually. Pros Tom Moses and Jon Mould chat with the crew on all the ways Zwift changes the game. From using PowerUps to picking the fastest helmet and other tips, Episode 22 covers the best ways you can nudge your way up the result sheet. From using PowerUps to picking the fastest helmet and other tips, Episode 21 covers the best ways you can nudge your way up the result sheet. Matt, Kev, and Greg share tips on sprinting - find out what type of training you want to focus on to improve that last kick of your race and which coach set a new trend for cycling kit in the pro peloton. Matt, Kev, and Greg share racing tips — positioning, course planning, gearing, and more — in the new episode. Insider info from this year’s battle at Innsbruck! Matt, Kev, and Greg review the races and catch up with pro riders after the finish line. 🎙Listen in!